Port Washington, Long Island’s sushi-est town, has added one more to the mix. 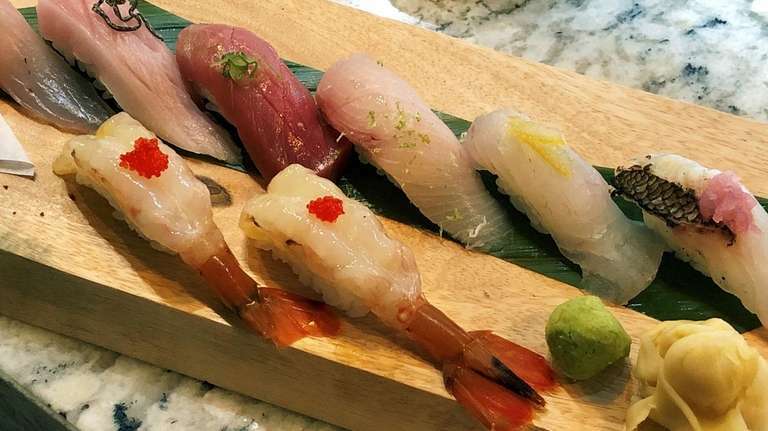 Tiga opened last week, bringing the total number of sushi restaurants to seven, all but one of which is located within a block of the LIRR station and three of which (Yamaguchi, Hana and Nikkei of Peru) are among Newsday's top ten sushi purveyors. On an evening a few days after it opened, Tiga 's customers seemed to fall into three groups: those who were “cheating” on their regular sushi bar, those who play the field, and those diners who don’t normally eat sushi in Port Washington at all, but have made the journey because they follow the cult of Roy Kurniawan. 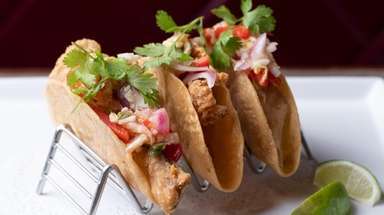 Kurniawan first appeared on LI’s sushi radar in 2006 when he was one of a team of Manhattan sushi chefs who took over the Sea Cliff Coffee Company on weekend evenings, transforming it into the Sea Cliff Sushi Company. In 2010, the team decamped to Locust Valley, where they opened Bennett’s Sushi & Lounge. Kurniawan headed back to Sea Cliff in 2015 to headline Wansuapona Musu, which lasted until 2017 and reopened briefly, for a few days every week, in 2018. The Indonesian native takes an approach to sushi that is cross-cultural, modern and, at times, experimental, but never veers into chaos. 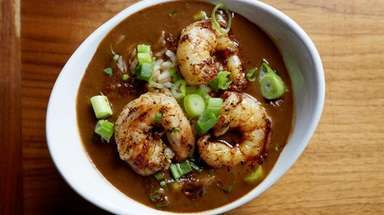 At Tiga, his menu is divided into soups and salads (such as spicy lobster miso soup and soft-shell crab salad with red kale and pickled radish), cold dishes (such as chili scallops with lemongrass, basil seeds, bird’s eye chilies and dried miso; soy-cured salmon with pickled onions, mango and microgreens), and hot dishes (truffle fries, Chilean sea bass with shiitake mushrooms, asparagus, coconut-lemongrass foam in a dashi consommé). 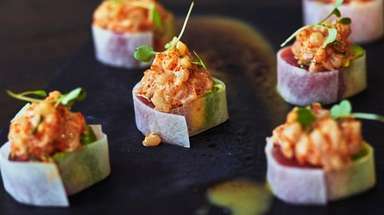 Sushi and sashimi are available a la carte and in traditional rolls or in one of the chef’s 15 signature rolls, which include the Grand Wazoo: spicy scallop, avocado, masago and crunch all rolled up in a layer of squid that Kurniawan blasts with a blowtorch until it is deeply browned. It’s hard to say what’s an appetizer and what’s a main dish. Prices range from $6 to $26. Count on at least $50 a head, excluding beer, wine or sake. Tiga’s décor has a fairyland-steampunk vibe, with exposed pipes and gauzy curtains. Kurniawan and his fellow sushi chefs wear porkpie hats and denim aprons. Besides the sushi bar there is a large communal table up front and a collection of smaller tables in back. In all, there is room for about 40 diners. For those of you keeping track, the other sushi bars around Port Washington’s LIRR station are Bonsai, Hana, Aiko, Yamaguchi and Aki (directly across from Tiga). Nikkei of Peru is a mile and a half away. 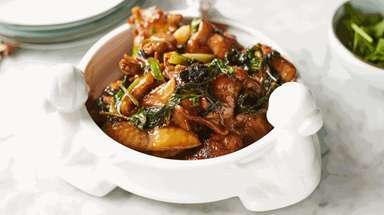 Tiga is at 43A Main St., Port Washington, 516-918-9993, tigany.com. LI's 10 best sushi restaurantsNewsday's picks for the top sushi restaurants of the year. 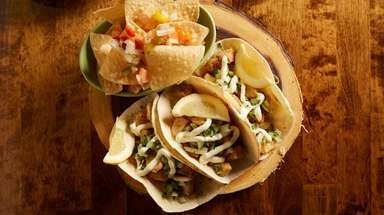 Recent LI restaurant openingsThe latest restaurants to open on Long Island.